Use keyboard (down arrow / S) to frantically smash. Ready to smash some famous football heads? Football celebrities like Messi, Ribery or Ronaldo make you frustrated? We have a cure! 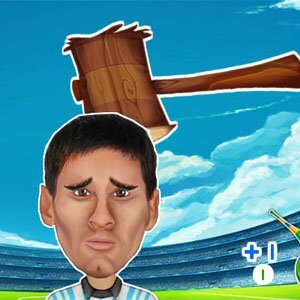 Compete against computer or another player - beat up the unfortunate player and collect points. Beware of the referee - hitting him takes away your hardly earned points.